UPDATE: March 2009 - I went back for a repeat visit, and was disappointed that the gravy has become watery and tasteless. I guess the recession is making many hawkers cut corners...sadly! 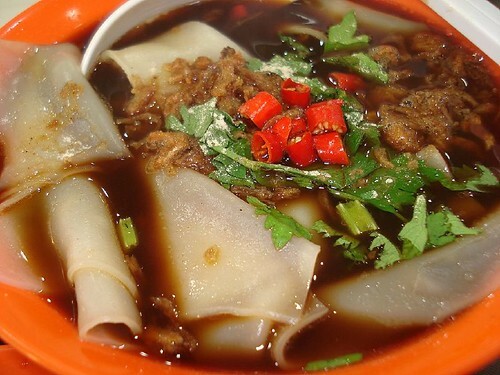 The Kway - rice sheet noodles, originally uploaded by Camemberu. Sim Lim Square is turning out quite a few goodies besides electronics and gadgets. 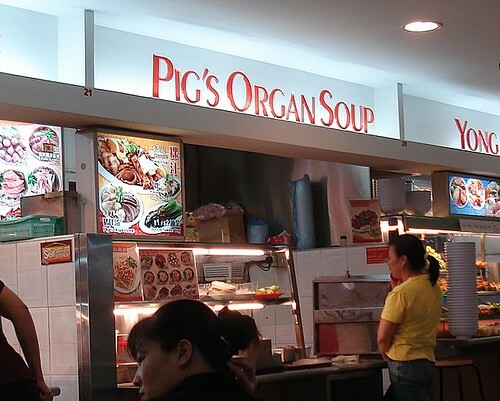 At the basement food court, I chanced upon some really tasty "kway chap" at the Pig's Organ Soup Stall. The Chap - mixed innards, tofu, fishcake, egg and delicious gravy, originally uploaded by Camemberu. 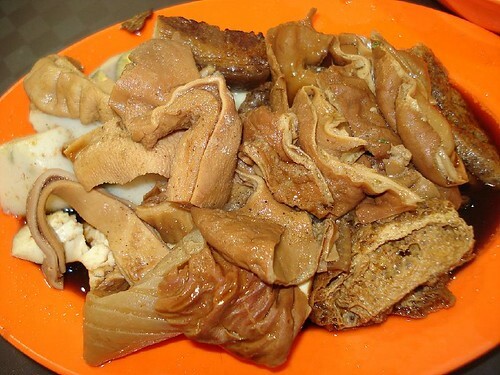 Maybe the serving had everything I liked - especially generous pieces of large intestines (I prefer the large over small) stewed til they almost melt in your mouth, pieces of braised pork belly, taupok (fried beancurd) that's soaked up all the savoury goodness. The sauce was wonderfully tasty and sweet. Food Court at the basement of Sim Lim Square, originally uploaded by Camemberu. What a nice surprise. I certainly will be back for more of this. In fact, this is my favourite so far at this food court (for now at least - I stil haven't tried everything).